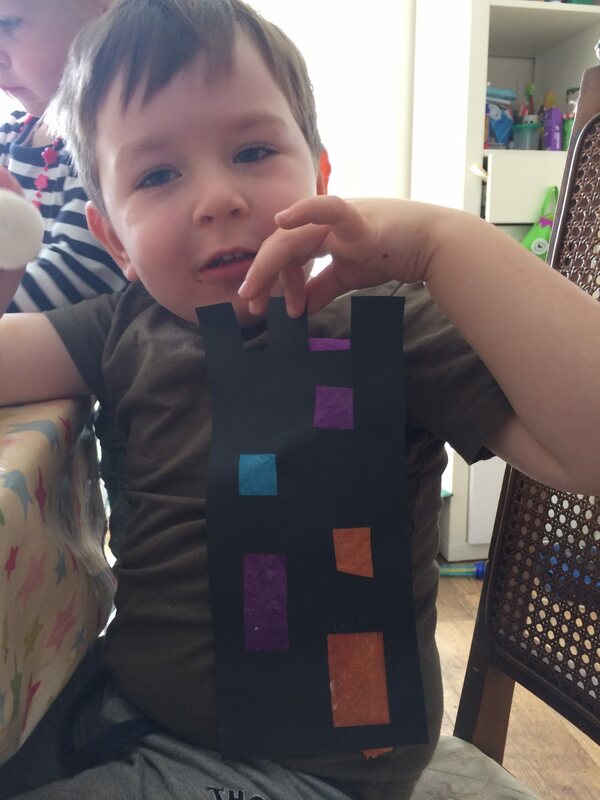 We like to make sun catchers for our windows so thought we’d make something fun for Halloween. We already have munchkins on the mantlepiece and a Happy Halloween banner. The toddler has made Lego pumpkins and ghosts but there are still so many things to make and do! 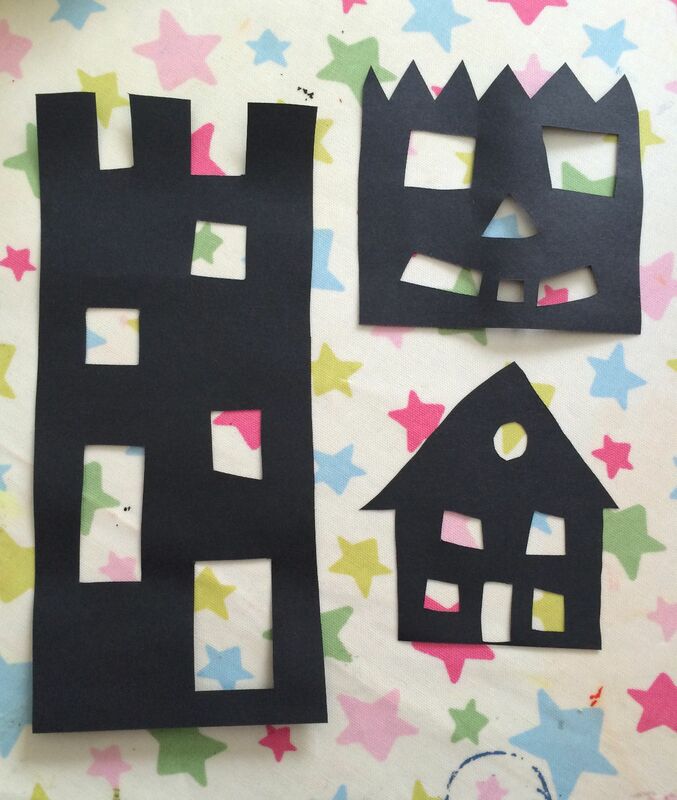 I cut out some spooky houses from black paper using a self healing mat and scalpel. 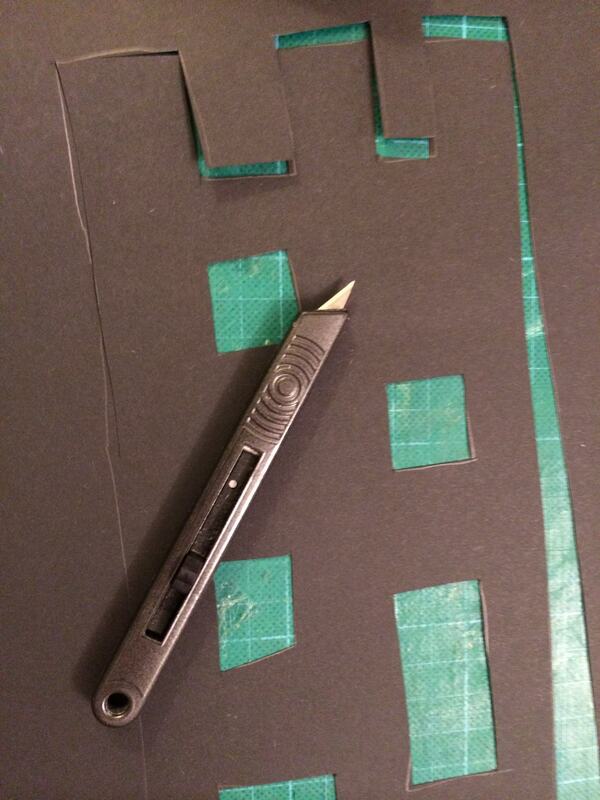 I did this the evening before as I didn’t fancy using a scalpel with the children around. 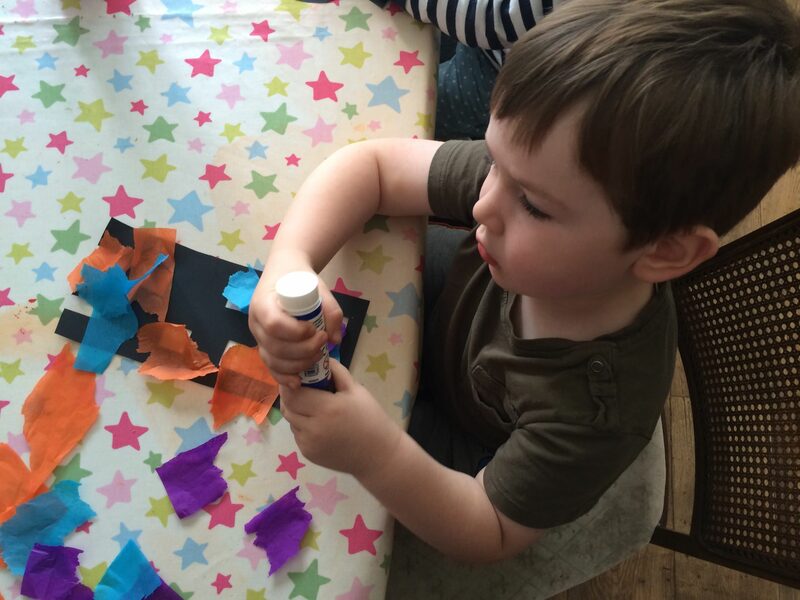 The children tore out pieces of coloured tissue paper and stuck them to the houses with glue. The tissue paper tore really easily so I helped hold the paper down whilst they applied the glue. Then they placed the tissue paper over the house windows and doors and we left them to dry before hanging them up in the window to catch the sun. Some of the shapes weren’t successful as the windows were too small or the walls of the houses were too small. The key is to make them as big as you can so they can be easily repaired if they get ripped. These look fab! Such a great craft with the kidlets! Great for fine motor too. Great decorations.